Starting your period as a young teen is hard enough. Imagine starting your period in a country where you can’t afford basic feminine hygiene. No tampons. No Sanitary pads. You have to wrap some old cloth or newspaper around your knickers. You have to stay at home, can’t go to school, miss a week of your education, maybe your exams. You fall behind. And then to top it off, everyone in your village knows you’ve ‘come of age’ and are now a woman. This can also mean that you maybe forced into a marriage where your family can get a dowry, maybe even one goat and a crate of soda, life is still difficult for young girls in many areas in Kenya. The first question you are going to ask is why do they not just go and buy a pack of sanitary towels, well it costs just £1.50 for a decent pack of sanitary towels in Kenya. Maybe you need 2 packs for your period. Doesn’t sound like much is it? Let’s do the maths…. 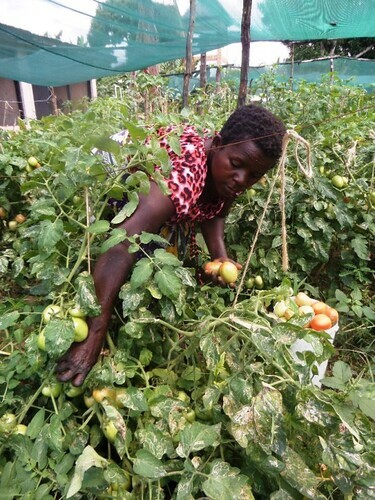 In Kenya, a woman working on a farm near The Good Life Orphanage & St Bernadette Mary School will earn roughly £1.50 a day. A day’s wages for a pack of pads. In comparison, a minimum day’s wage in UK is £60. So, you’re spending the equivalent of £60 for a pack of half decent sanitary towels. You can see why they go without. 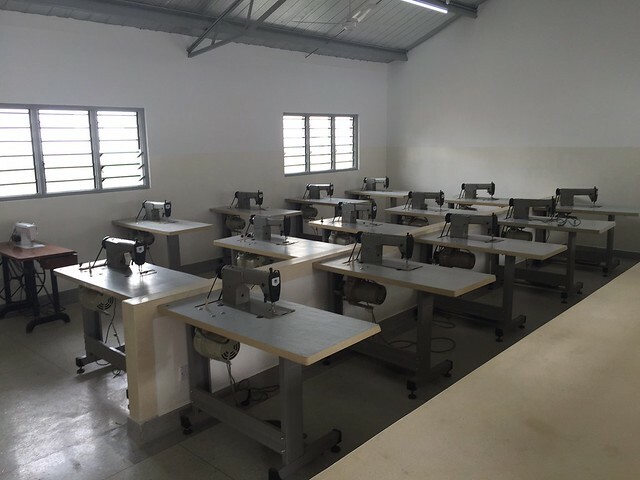 Seeing this problem first hand we decided to do something and a chance meeting between Papa Kevin and Tim all the way from Salt Lake City resulted in a new project being set-up within our new O’Gara Sewing Room. 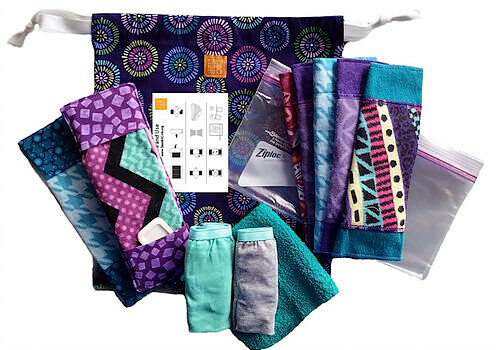 We are starting to make reusable sanitary kits, what is that you may ask? It’s a bag, full of the things they need to manage their periods discretely, hygienically and free from monthly expenditure. The pads can be worn inside their own underwear, washed at home and last 3-5 years. For just £10. Yes, 10 english pounds. 1000 pennies. 10 squid. OK, you get it. What’s in the kit, well to start with there are 2 pairs knickers. Many girls don’t have underwear, so we’re giving them some to get started. And well this won’t work without some pants! What we call a ‘Waterproof shield’ that snaps into place in your knickers and acts as a holder for the liners. The really clever bit. 7 easily washable, absorbent liners which fit into the shield and can be replaced when needed. Double Liners are available if you have a heavy period. A zip-lock bag to keep your used liners ready for washing. Bar of soap & flannel for keeping your bits clean. All in a beautiful print bag, so no one will ever know what you’re carrying around. We’re not buying these packs from a manufacturer and paying their mark up. We’re producing them ourselves in The O’Gara Sewing Room we’ve set up. A small vocational training centre adjoined to Good Life Orphanage. 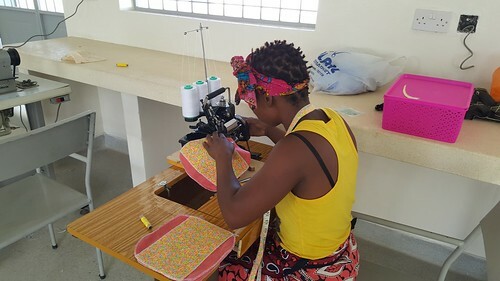 We plan to employ 12 local women to produce the bags and contents in them, giving them an income and basic sewing skills. So our packs are not only benefiting the young girls in local schools, but the wider community and empowering teenage girls along the way. 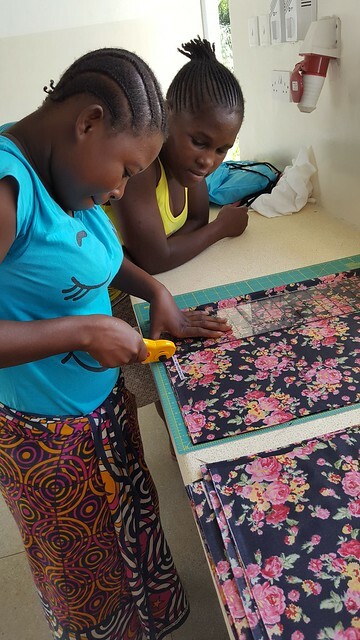 In November this year Tim’s wife Carrie came over to The GLO for one month to set up and train our girls to make these kits, under the eagle eye of Kahindi our sewing teacher we have managed to produce the kits whilst ensuring the girls are aware of the importance of the quality of each kit they are making. 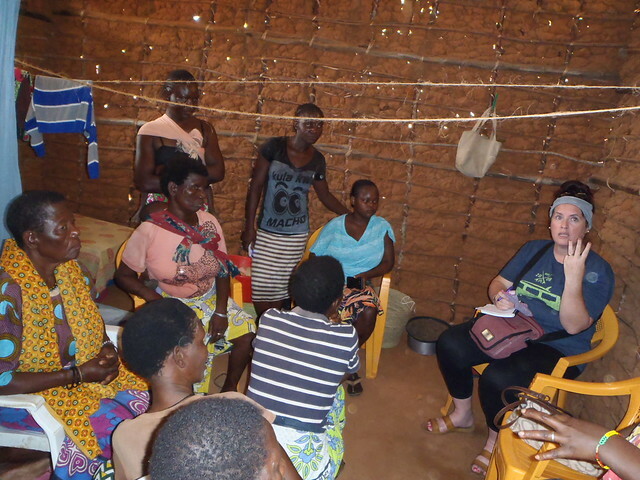 Carrie also met local woman in nearby Kilifi who have been using some of the kits as part of a pilot scheme for the past six months and received very positive feedback from them. 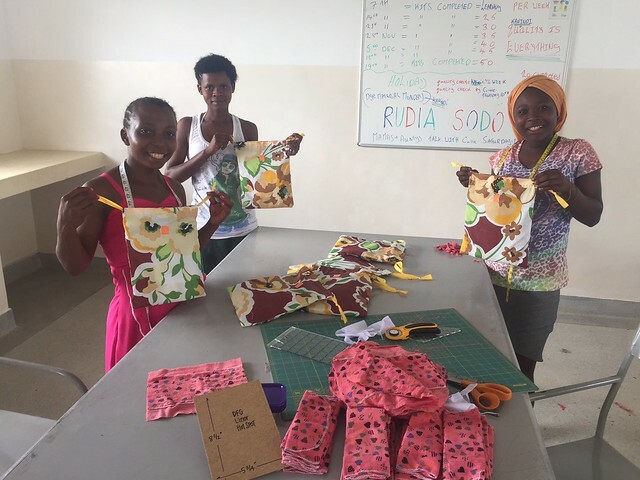 We are planning to sell some of the kits but the majority will be donated to girls who are menstruating at our own school and the local schools in the area in the first instance but this requires funding and this is where our wonderful GLO Friend Bethan comes into the picture!! Beth is putting together a presentation for the launch in early 2017 which will be used by Carrie in the U.S.A. as well as our own version here in Europe to make everyone aware of the difference a £10 donation can make to one girl’s life, providing a kit that can be used for two to three years. It will mean they will be in school for the whole month, not missing lessons and exams. Having this small bag of simple necessities will give them confidence, independence to manage their period without financial burden or public shame. As always we are looking for new ideas to develop which will help the local people by training them with extra skills, we will keep you up-to-date with the launch date and the progress we are making. Well done , you have designed an cost effect way to provide the girls with dignity , and a practical solution .Again the GLO always striving to improve the quality of life for all . Fantastic new venture., benefits all the local young girls – will make a donation. 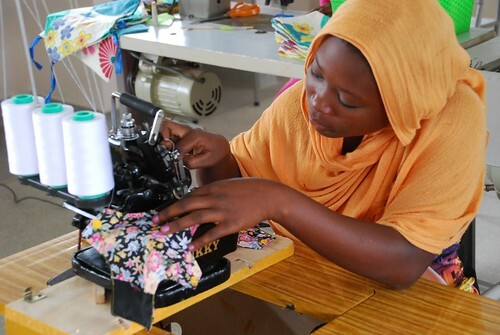 This is a very worthwhile project for the young girls both to help with menstruation and sewing skills. Well done again.